Is There a Difference Between Coaching, Mentoring, and Making Disciples? coaching is drawing out of you what God has put in you. Discipleship is a systematic and comprehensive process of teaching you to obey everything that Christ commanded, in the presence and power of Christ. This doesn’t make coaching and mentoring un-Christian processes. But it doesn’t make them discipleship, either. In coaching, the apprentice sets the agenda. In mentoring, the mentor sets the agenda. In discipleship, the commands of Christ are the agenda. In discipleship, therefore, the process is intentionally, surprisingly uninformed by the life circumstances, goals, and personality makeup of the disciple. The commands of Christ come to us as ill-timed and impractical, out of sequence of our lives and out of step with our plans and goals. In the coaching and mentoring processes, the subject can first bury his own father. Not so the disciple. Likewise, in mentoring and coaching the scale and scope of the process are established by negotiation and mutual goal setting. But the scale and scope of discipleship are non-negotiable. We are called to learn everything that Christ commands. This makes disciples generalists, not specialists, as we’ve previously discussed (here and here, for example). “Helping people find and fulfill their calling” is the language of coaching and mentoring. “Growing people to fullness in Christ” is the language of discipleship. In coaching and mentoring the role relationships are established by the participants, but in discipleship they are established by the Lord. That gives us uncomfortable layers of mutual accountability that we can’t turn off or channel into certain “areas of life” that we want to “work on.” Discipleship is like a mesh that lays over the top of everything. It’s alarmingly out of our control. And yet we enter into it and remain in it voluntary. What many churches and Christian leaders call discipleship is actually coaching rather than discipleship. Most Christians prefer that. There are a lot of fathers to bury, after all. 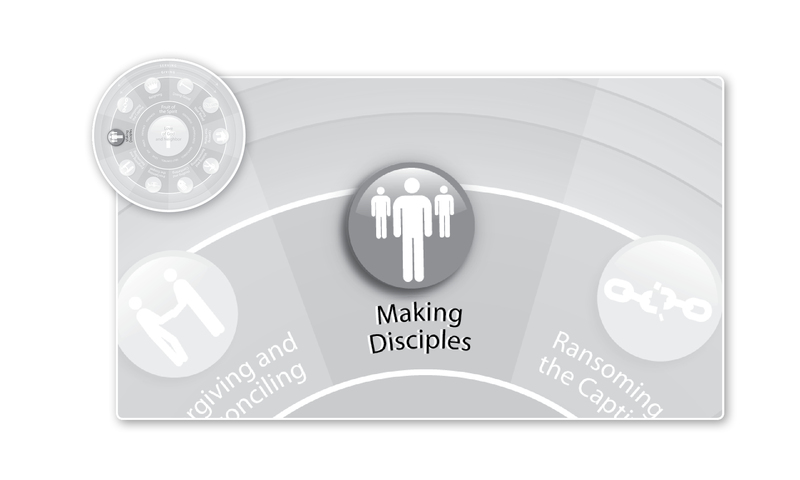 This entry was posted in Making Disciples and tagged coaching, Discipleship, Making Disciples, mentoring, Work of Mercy. Bookmark the permalink. 3 Responses to Is There a Difference Between Coaching, Mentoring, and Making Disciples? Currently reading Tom Blackaby’s book, “the commands of Christ” in order to obey all that He commands…And, truly, His commands are not burdensome. Thank you for being a good example of a person who always does all that they can do seek God with all that they are.